Get your daily scoop of what State of the Union is watching today, December 6, 2013. 1. Nelson Mandela mourned and celebrated. 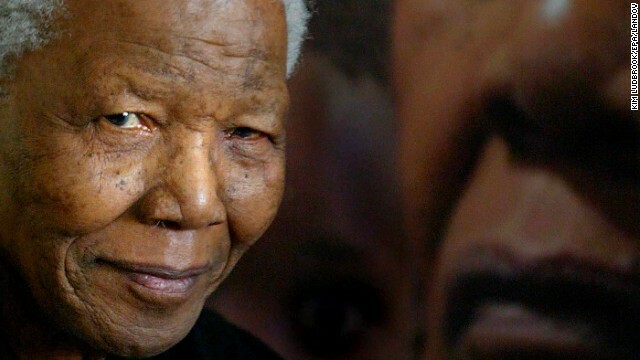 One day after his death, tributes to the anti-apartheid leader and South Africa's first black president continue to pour in. A 10-day mourning period has officially begun in South Africa. White House Secretary Jay Carney said President Obama and First Lady Michelle Obama will travel to the country next week "to pay their respects to the memory of Nelson Mandela and to participate in memorial events." Mandela's state funeral is scheduled for December 15th. 2. We haven't seen this in five years. The economy added 203,000 jobs in November, about 20,000 more than economists predicted. The unexpected number created another surprise. The nation's unemployment rate dropped to 7%, its lowest level since November 2008. Even better, economists say that the jobless rate dipped for the right reason - an expansion of hiring rather than people dropping out of the labor market. "This was a strong, good quality report, showing continuing momentum," said Frank Friedman, chief financial officer of the Deloitte consulting firm. The question now is, will the good news cause the Federal Reserve to cut back pumping billions of dollars into the economy? 3. Rand Paul's Motor City rescue plan. Sen. Rand Paul, R-Kentucky, unveiled his proposal to help bankrupt Detroit get back on its feet. Paul says his "Economic Freedom Zone Act," which he plans to introduce in the Senate next week, would cut federal taxes in Detroit and other economically depressed areas that have an unemployment rate 12 percent. Paul says the key to Detroit's renaissance isn't a government bailout. "Detroit's future will not come from Washington," Paul said. "The magic of Motown is here in the city," Paul, who has not shied away from speculation that he'll make a 2016 White House run, was in Detroit to help the Republican Party expand its outreach to African American voters. 4. GOP: Never mind on Obamacare repeal. As the White House ramps up its P.R. offensive on the health care law, Republican lawmakers appear to be shutting down their effort to repeal it. The GOP is now focused on highlighting what it says are Obamacare's failures and have no plans to bring up another bill to repeal the measure. "We'll continue to do everything we can to protect the American people from the effects of this awful law," said Michael Steel, House Speaker John Boehner's spokesman.